Independent Uzbekistan is gradually moving along the path of building a democratic legal state and a civil society with a socially oriented stable market economy and an open foreign policy. 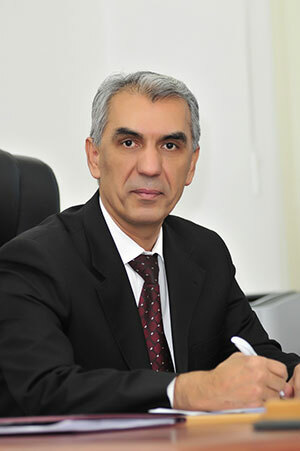 With the election of Shavkat Mirziyoyev as the President of the Republic of Uzbekistan in 2016 December, Uzbekistan became the center for various economic, social and legal reforms. Reform is a multi-faceted and long-term process, in which the most important areas are the creation of perfect legislation, ensuring the strict implementation of laws, raising the legal culture of the population and officials, and clearly defining the rights and duties of citizens, and government. In this process, a special place is occupied by the legal service of the bodies of state power and administration, as well as economic entities. Samsung Electronics Co. said on Dec. 6, 2018 it has decided to promote Kim Ki-nam, who currently serves as the president and CEO of the crucial device solution division, to vice chairman, as the chip business continued to post record-breaking performances throughout 2018. A parliamentary committee on Dec. 5, 2018 failed to adopt a report on the finance minister nominee, a move that could cast a pall over the nomination process. The main opposition Liberal Korea Party boycotted the parliamentary finance committee as the rival parties were at odds over how to handle next year's budget. A Seoul court was set to hold hearings on Dec. 6, 2018 to decide whether to issue arrest warrants for two former Supreme Court justices on abuse of power and other charges in a scandal involving the previous top court leadership. The hearings of retired Justices Ko Young-han and Park Byong-dae will take place separately in the Seoul Central District Court at 10:30 a.m.
North Korea is reported to have significantly expanded a key long-range missile base amid stalled negotiations with the United States. CNN reported on Wednesday that it obtained new satellite images showing that the Yeongjeo-dong missile base and a nearby, previously unreported site remain active and have been continuously upgraded. A United Nations committee has expressed concerns about antimigrant sentiment in South Korea and the country’s discrimination against foreign workers, warning it can lead to a national crisis. The UN committee on the Elimination of Racial Discrimination held a two-day meeting in Geneva through Tuesday to review South Korea’s implementation of the International Convention on the Elimination of All Forms of Racial Discrimination. Anchor: U.S. national security adviser John Bolton says his government is pushing ahead to hold a second summit with North Korean leader Kim Jong-un next year. He said the meeting should be held as North Korea has not lived up to its commitments. Kim Bum-soo has more. Report: North Korea is not keeping up with its promises made during the Washington-Pyongyang summit in June. A Seoul court was set to hold hearings Thursday to decide whether to issue arrest warrants for two former Supreme Court justices on abuse of power and other charges in a scandal involving the previous top court leadership. The hearings of retired Justices Ko Young-han and Park Byong-dae will take place separately in the Seoul Central District Court at 10:30 a.m.
South Korea's panel maker LG Display Co. said Thursday it has raised 20 billion yuan (US$2.91 billion) in syndicated loans with Chinese banks to finance its local affiliate, LG Display High-Tech Co. The display maker said the deal was reached with China Construction Bank, the Bank of Communication, the Agricultural Bank of China and the Bank of China on Wednesday. LG Chem may well be able to make a turnaround and post a profit in its electric car battery business for the first time ever in the fourth quarter, market watchers said Thursday. The South Korean company does not separately disclose the performance of the EV battery business, but the prevalent view is that it will hit an annual operational profit of 196 billion won (US$176 million) next year. The balance last year was 114 billion won in the red, which is expected to shrink to 56 billion won in the red this year. Representatives of South Korea, China and Japan are to discuss a regional free trade deal in Beijing from Thursday to accelerate negotiations on market liberalization for products, services and investment, the Seoul government said Wednesday. The two-day negotiations will be attended by senior trade officials representing the three nations, who will discuss ways to open up goods and services markets and lower other trade barriers, the Ministry of Trade, Industry and Energy said. The two Koreas are discussing when and how they will conduct a joint survey on cross-border roads, the Ministry of Unification said Wednesday, with inter-Korean railway inspections already underway. The Koreas plan to inspect the road connecting Goseong in Gangwon Province and Wonsan in the North’s Kangwon Province along the eastern coast of the Korean Peninsula. Lawmaker Hong Moon-jong from the main opposition Liberty Korea Party appeared on TV Tuesday night and expressed reservations about President Moon Jae-in’s tendency to prioritize North Korea over other issues. While appearing on the latest episode of MBC’s “100 Minute Debate,” Hong commented on Moon’s approach to North Korea after the presenter asked the panel whether Moon was obsessing over North Korea despite problems within the South. By all indications, North Korea's leader Kim Jong-un will likely visit Seoul before the end of this year. He promised this during President Moon Jae-in's visit to Pyongyang in September. The media has been speculating on the dates but they have so far been denied. Moon, on his way to New Zealand aboard Air Force One during his recent overseas tour, revealed U.S. President Donald Trump had cleared Kim's visit before the second Kim-Trump summit. A bold statement drew attention at Gwanghwamun Square in Seoul, Nov. 26. "I am a fan of Kim Jong-un," Kim Soo-keun, the leader of the Korea Youth Solidarity (KYS), said. "I love communism and you will too," he added. The statement came during a press conference by a committee of several students' organizations, led by the KYS, to welcome the planned Seoul visit by North Korean leader Kim Jong-un whom they referred to as the "great man." Two workers died after being buried under a mound of soil at a drainage pipe construction site just north of Seoul, authorities said Wednesday. The accident happened at 11:57 a.m. in Paju, Gyeonggi Province, when the pile of soil suddenly collapsed on top of the two workers, aged 52 and 50, police and firefighters said. They were pulled out by rescue workers and sent to a hospital but died later, the officials said. Korea is suffering the biggest building slump since the 1997 Asian financial crisis. According to the Bank of Korea on Tuesday, construction investment fell 6.7 percent on-year in the third quarter to W57.9 trillion (US$1=W1,108). That was the biggest decline since the first quarter of 1998 (down 9.7 percent) and the first quarter of 2008 (down 5.1 percent) at the height of the global financial crisis. Trade has revived in the North Korea-China border region and investment by Chinese companies has resumed in Pyongyang despite international sanctions. Exports of North Korean iron ore, which are banned under UN Security Council sanctions, flow freely to China through the border city of Dandong, Radio Free Asia reported on Tuesday. Hotel Shilla's Korean restaurant La Yeon in Seoul ranks 175th with a score of 92 on La Liste, a list of the 1,000 best restaurants in the world sponsored by the French Foreign Ministry and tourism board. It became the first Korean restaurant to make the top 200. After getting stuck at the threshold of negotiations regarding denuclearization and the normalization of diplomatic relations, North Korea and the US appear to be making progress on their bilateral relations once again. For several days now, US President Donald Trump has been emphasizing his trust in North Korean leader Kim Jong-un and sending positive signals about their second summit, and now it turns out that the North Koreans and Americans held a top secret meeting at Panmunjom on Dec. 3. A cemetery for enemy soldiers in Gyeonggi Province will be reborn as a symbol of peace. On Dec. 4, Gyeonggi Province announced that, during working-level deliberations with the Defense Ministry on Dec. 3 about the cemetery, the two sides had reached an agreement to transfer the management of the cemetery to Gyeonggi Province. According to Gyeonggi Province, the Defense Ministry asked the province to assume responsibility for managing and operating the cemetery and that the province had accepted this in the interest of peace and humanitarian concerns. White House National Security Adviser John Bolton said that the U.S. is making preparations to hold a second summit because North Korean leader Kim Jong Un hasn’t kept his commitments he made during the first U.S.-North Korea summit meeting. "They have not lived up to the commitments so far," Bolton said at The Wall Street Journal's annual CEO Council conference in Washington. "That's why I think the President thinks that another summit is likely to be productive." Korean energy-solution company LS Industrial Systems (LSIS) said on Wednesday that it has acquired the energy grid tie (EGT) division of Parker Hannifin, the largest energy storage system (ESS) company in North America, to make a foray into the global smart-energy market. The ESS, which refers to equipment that stores electric energy and supplies it when necessary, is essential in renewable energy generation systems that do not have consistent amounts of power generation. The president of KAIST, Korea’s top science and engineering university, is the target of a government inquiry that some suspect to be politically motivated. The Science Ministry on Tuesday issued a request to KAIST’s board of trustees that it suspend Shin Sung-chul, KAIST’s incumbent president, six days after it formally recommended he be criminally charged for embezzlement and breach of duty. North Korean Foreign Minister Ri Yong-ho, following a four-day visit to Vietnam last week, made a trip to Syria and next heads to China, where he will hold talks with Chinese Foreign Minister Wang Yi. China’s Foreign Ministry announced Tuesday that Ri will visit Beijing from Thursday to Saturday and meet with China’s leadership and hold “in-depth” talks on areas of mutual interest with Foreign Minister Wang, also a state councilor. Twenty-one different areas across the country will be stripped of their military facility protection zone status, the South Korean government announced on Wednesday, a move that will allow civilians to gain access to districts that have been off-limits for years. The change will affect a total area of some 337 million square meters (83,275 acres), mostly in the provinces of Gangwon (63 percent) and Gyeonggi (33 percent), which border North Korea. On December 4 (local time), President Moon Jae-in said, "What is important is not whether Chairman Kim Jong-un will visit us within the year or not, but that his visit to Seoul can further encourage and make progress in the denuclearization of North Korea." In a joint press conference after a summit with New Zealand Prime Minister Jacinda Ardern this day, President Moon, on a state visit to New Zealand, also added, "There is the possibility that Chairman Kim will visit Seoul this year." He further said, "Personally receiving a promise for denuclearization from Chairman Kim during his trip is not what is important. It is more important for us to encourage, mediate, and persuade the chairman so that we can make greater progress in denuclearization in the second summit between North Korea and the United States, which will follow." Barry Engle (photo), president of General Motors (GM) international business, who is currently acting as the "plenipotentiary" of GM headquarters on matters concerning GM Korea, recently made a secret trip to South Korea. It appears he came to persuade the Korea Development Bank (KDB), the second largest shareholder, and South Korean politicians, and justify the separation of the research and development (R&D) corporation of GM Korea--a move, which has been blocked by the South Korean court. On November 27, the government released measures to prevent domestic violence, which strengthened punishment and victim protection of domestic violence. The latest measures give the police more room to arrest the perpetrator of domestic violence on the scene. Also, if an offender violates a restraining order, he can be sentenced to imprisonment. Last month, a divorced man who had physically abused his ex-wife during their entire marriage killed her. We welcome the swift government measures at a time when the seriousness of domestic violence has emerged as a social issue. K-water, a state water resource development and management agency, will build a hydroelectric dam and a 15-megawatt power plant on the Solomon Islands by 2040 in a $210 million deal that would help ease a power shortage in a nation of hundreds of islands in the South Pacific. South Korea's first for-profit hospital built by a Chinese investor on the southern resort island of Jeju was given the green light to start its delayed business only for foreigners despite protests by civic groups. On Wednesday, Jeju Governor Won Hee-ryong announced conditional approval of Greenland International Hospital. Won said the hospital with 47 beds manned by a staff of 134 would only cater to foreign medical tourists without competing with other hospitals in Jeju. Kakao, South Korea's top message-app operator, joined hands with two domestic bicycle makers to launch an e-bike-sharing service in the first quarter of next year after its proposed carpool service hit a snag due to fierce opposition by taxi drivers. The first for-profit medical facility on South Korean soil can only accept non-Korean nationals visiting the Jeju island on strictly four categories in beauty and internal medicine, said Jeju Governor Won Hee-ryong in announcing the conditional grant to the opening. Kakao Mobility, a subsidiary of South Korea`s top message-app operator Kakao, Wednesday announced a plan to launch an electric bike-sharing service in Korea early next year in cooperation with local bicycle makers Samchuly and Alton Sports. The new mobility concept comes after Kakao Mobility’s proposed carpool service hit a snag due to strong opposition by licensed taxi drivers. South Korea’s foreign exchange reserves reached near $403 billion last month on the back of the weakening U.S. dollar, making the national coffer in foreign exchange eighth largest in the world. According to Bank of Korea on Wednesday, Korea’s FX balance came to $402.99 as of the end of November, up $240 million from the previous month. It hit a record high of $403 billion in September and fell slightly to $402.7 billion in October.